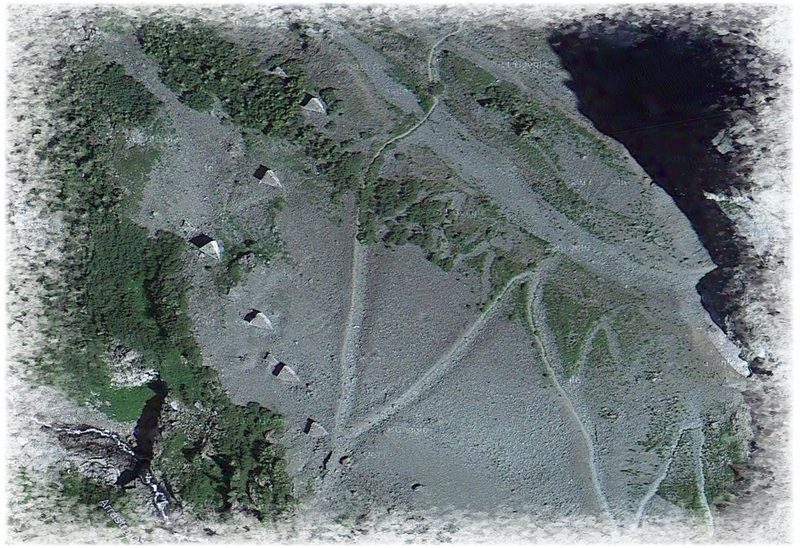 Strange Structures – Howardsville, CO Quadrangle – amTopo by Apogee Mapping, Inc.
As part of our amTopo map creation process, we import aerial imagery into our software to ensure roads, trails and other features can be accurately digitized. Sometimes we spot some pretty interesting things in the imagery, many which are clearly recognizable (Ancient Puebloan ruins, craters, flocks of sheep, etc.). Occasionally, we get stumped, however, as was the case when generating our Howardsville, Colorado 7.5 Minute topographic map. Howardsville is located in the rugged San Juan Mountains of southwest Colorado, just east of Silverton, and rich in mining history. Abandoned mining structures and tailings are a common site along hiking trails and 4WD roads in the area, but while digitizing the Silver Lake Trail (formerly a mining road), we noticed several triangular objects that were unlike typical mine structures. These objects were all aligned in the same direction (uphill) and were casting shadows, implying they had some height to them. 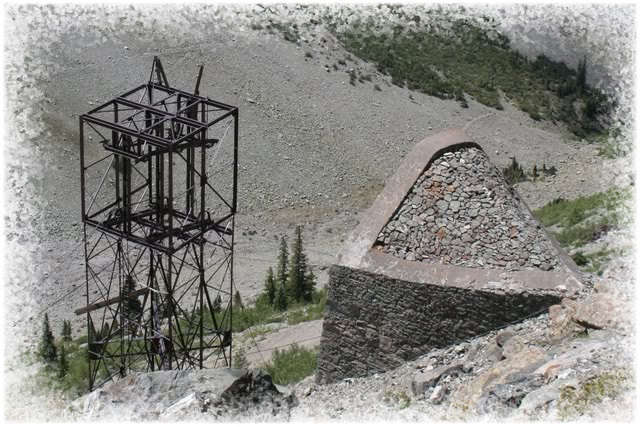 After scouring the internet for some answers (we won’t discuss the lost productivity resulting from said search), we finally learned that what we were seeing are structures that were built by the miners to protect other structures from dangerous avalanches. These are commonly referred to as avalanche splitters or diverters. In the image above, you can see how the stone and metal splitter provided up-slope protection for an aerial tram used to bring ore from the mines down to the mill. In the event of an avalanche, the splitter would dissipate the slide’s energy and deflect snow to the sides and away from the tram tower. Even though the splitter itself is dome-shaped, when viewed from above you see its triangular form. These splitters were strategically constructed in treeless avalanche chutes where miners and their mining facilities were at greatest risk during winter. For those of you who are fascinated with strange and curious sites as seen from space, check out Weird Google Earth – plenty of mystery, history and beauty out there! © Apogee Mapping, Inc. All rights reserved.